Roughly 70,000 years ago, as humanity migrated out of Africa, a star brushed past our Solar System. It's known as Scholz's star, and at a mere 9 percent of our own Sun's mass, it isn't all that big. 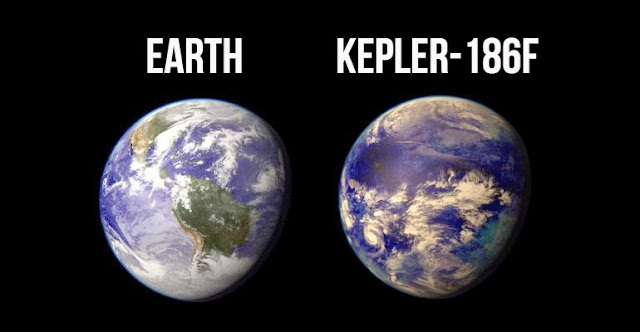 So in 2015, when astronomers discovered this neighbour had passed us by, they assumed it wouldn't have had much of an effect on our Solar System. But researchers have now shown that this isn't the case at all - in fact, we can still see the impact of the visit today. 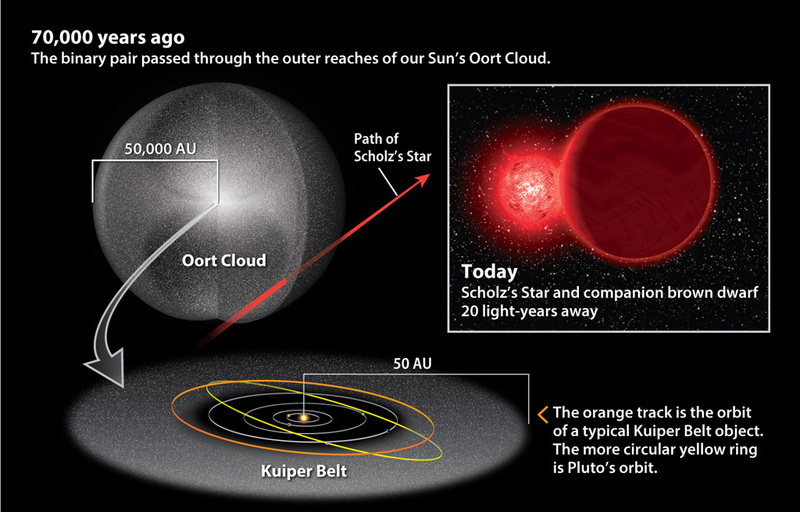 A closer look at the positions of objects in the Oort Cloud has prompted a rethink on this conclusion – it turns out this incredibly close encounter with a passing star did in fact leave faint gravitational fingerprints on our Solar System's extreme outer limits. Rewinding the clock and placing the objects against the background of the constellation Gemini, it seems as if a red dwarf named Scholz's star is likely to be the cause of their subtle redistribution. Right now, the tiny, dimly glowing object is roughly 20 light-years away, probably high-tailing it before it gets asked to pay for the damage it caused. It's possible our more observant ancestral star gazers might have noticed the star's dull red glow. But what they wouldn't have seen is a tiny orbiting companion – a dim brown dwarf star around two-thirds of Scholz's star's mass. While studying the multitude of looping orbits, the team also discovered a handful of comets on trajectories that place their origins around another star. 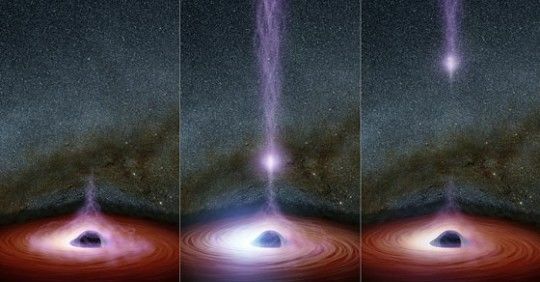 Further investigations could add more detail to their actual origins, but it does raise some interesting questions about how much of our Solar System's material spent time elsewhere in the galaxy. As far as passing encounters go, this one is pretty minor. Though wildly speculative, some astronomers have suggested a dark twin to our own Sun could have stirred up some trouble as it passed by 65 million years ago – right when a chunk of rock made life a lot harder for dinosaurs. Scholz's binary system was incredibly polite by comparison. But the work on how our stellar neighbours affect our Solar System could have significant implications for potential future encounters as well. Definitely a case of 'watch this space' in the future. This research was published in Monthly Notices of the Royal Astronomical Society: Letters.